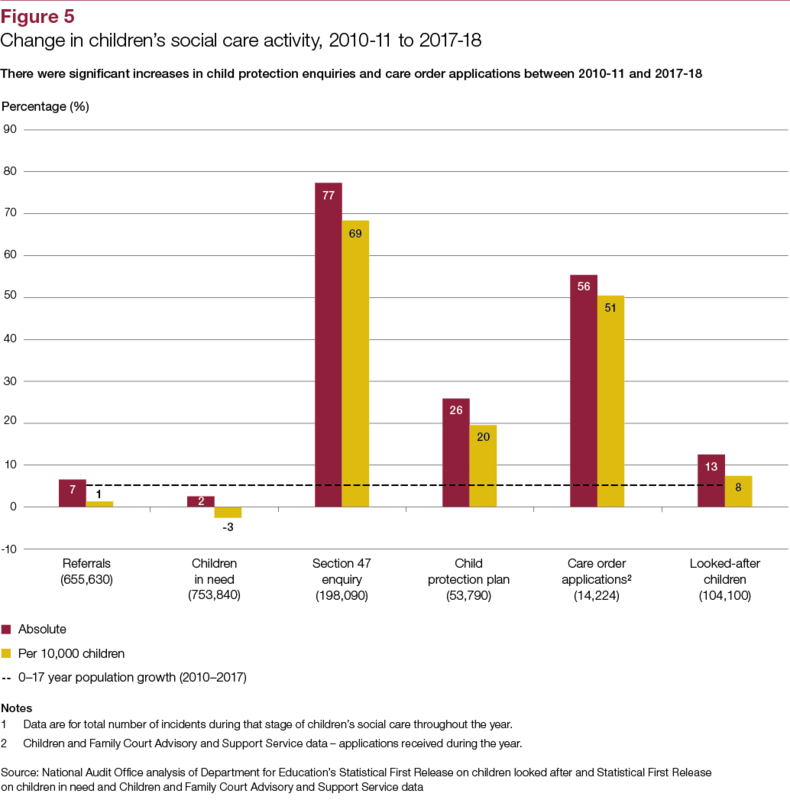 This report covers recent trends in pressures on children’s social care demand and activity and national and local government's response. 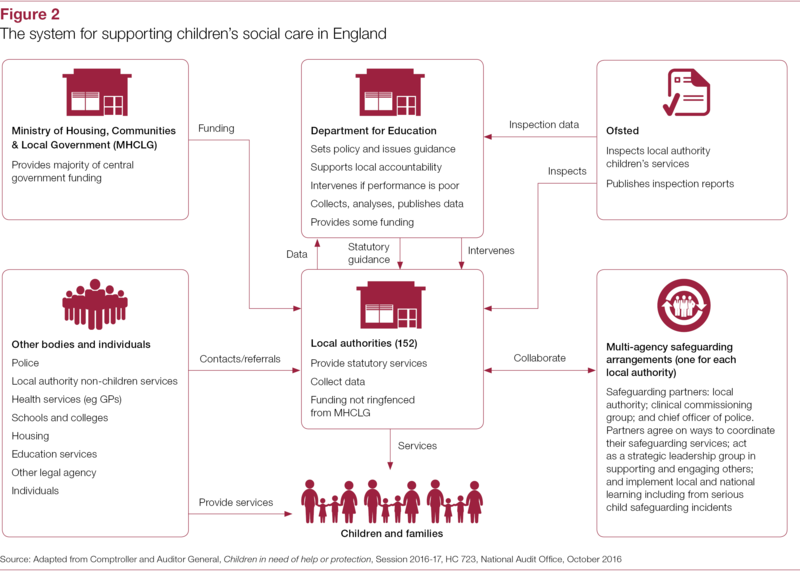 Local authorities in England have statutory responsibility for protecting the welfare of children and delivering children’s social care. 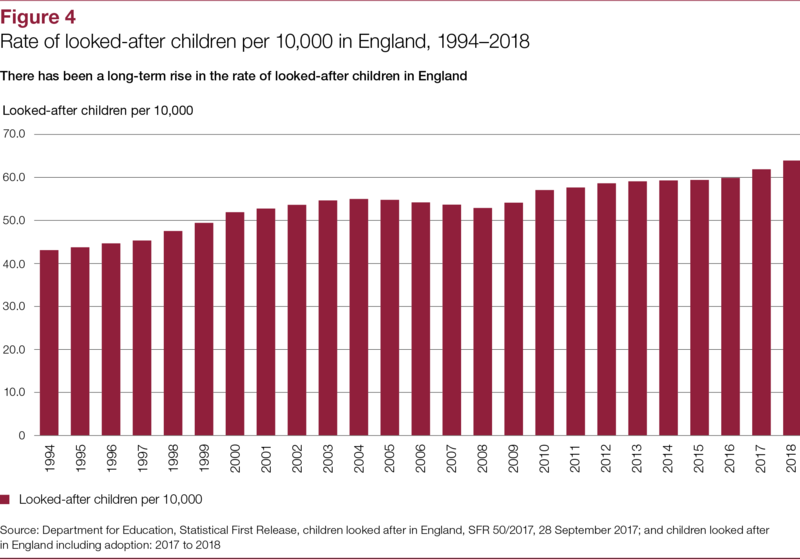 In extreme cases they may use their statutory powers to place children in need on protection plans or even take them into care. 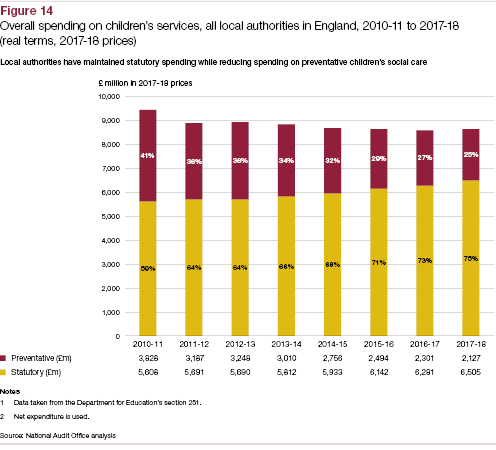 Local authorities are also responsible for delivering non-statutory services for all children and young people, such as children’s centres. 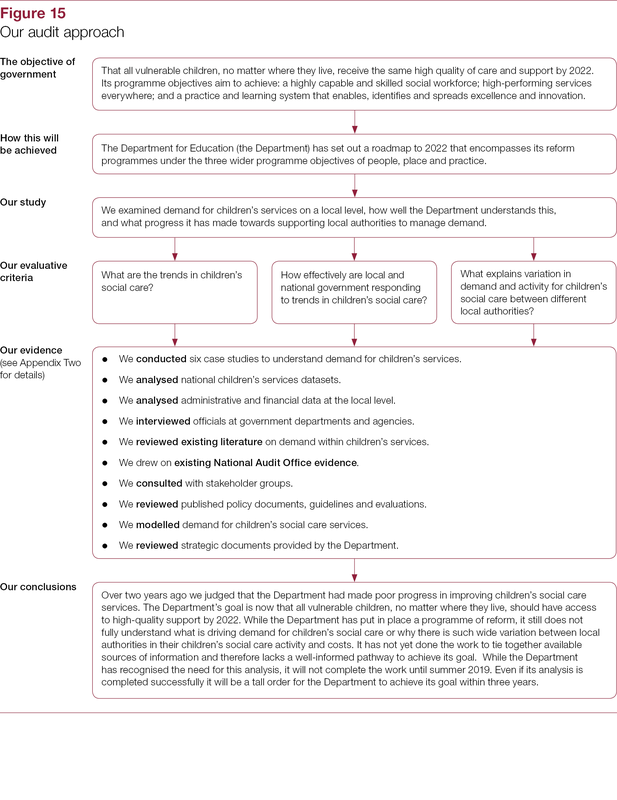 The Department for Education (the Department) provides statutory guidance on delivering these functions. 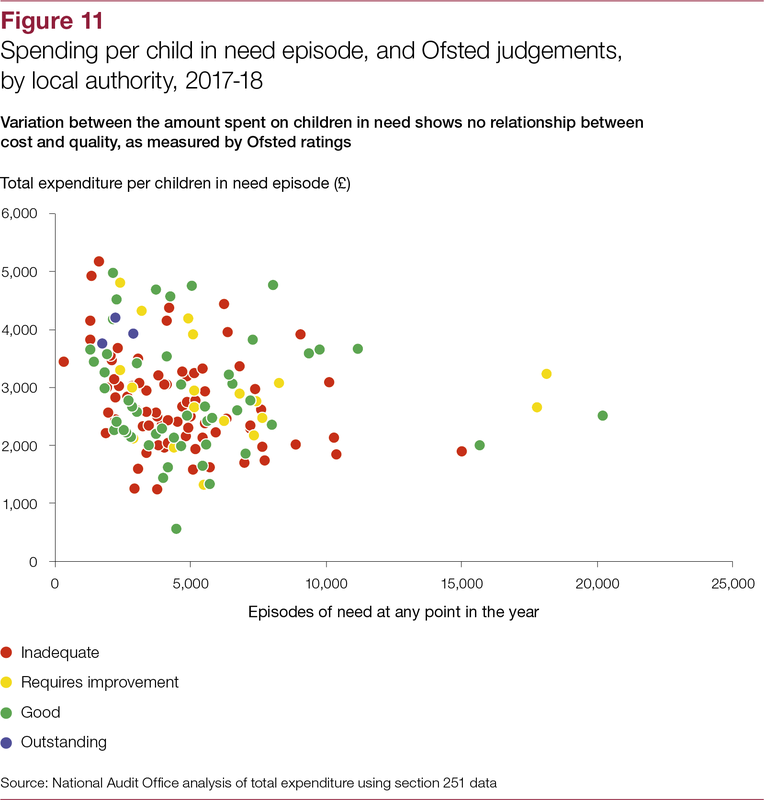 It also has overall policy responsibility for children’s services, and has the strategic vision that all vulnerable children, no matter where they live, should have access to high-quality support by 2022. 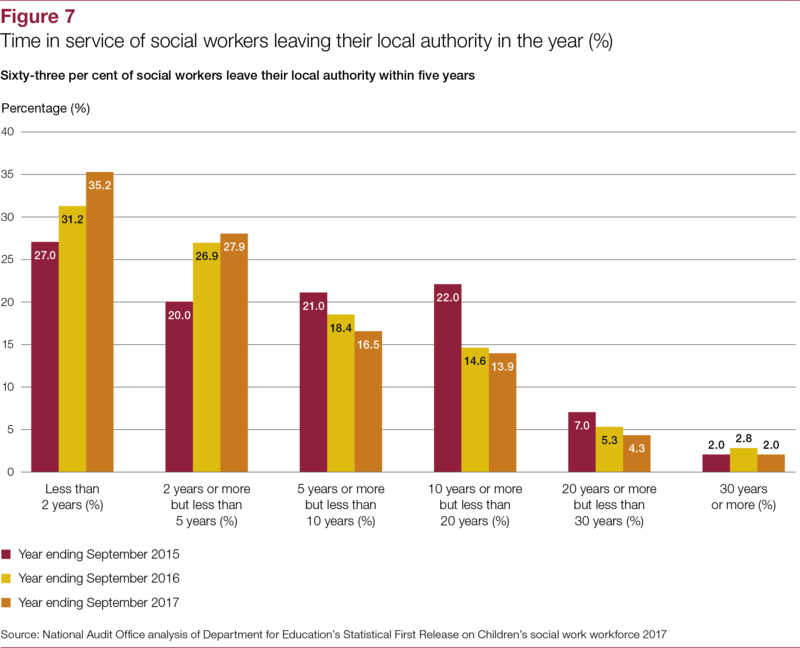 As both the National Audit Office (NAO) and the Committee of Public Accounts have previously reported, local authorities’ finances and services are increasingly under strain. 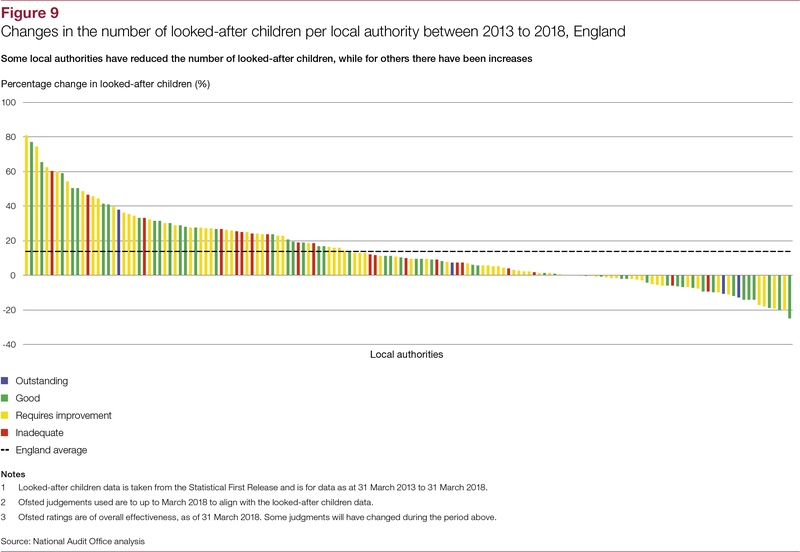 In 2016 the Committee of Public Accounts concluded that the Department seemed worryingly complacent that nothing could be done to improve children’s services more quickly, and that it lacked a credible plan for how and by when it would make a difference and ensure that local authorities were intervening effectively to make a difference to children’s lives. 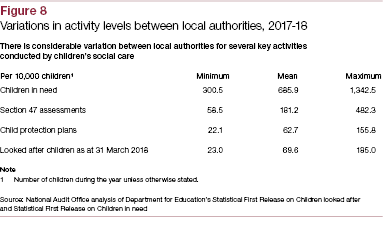 Until recently, the Department has not seen it as a central part of its responsibilities to understand drivers in demand for children’s social care across all local authorities. 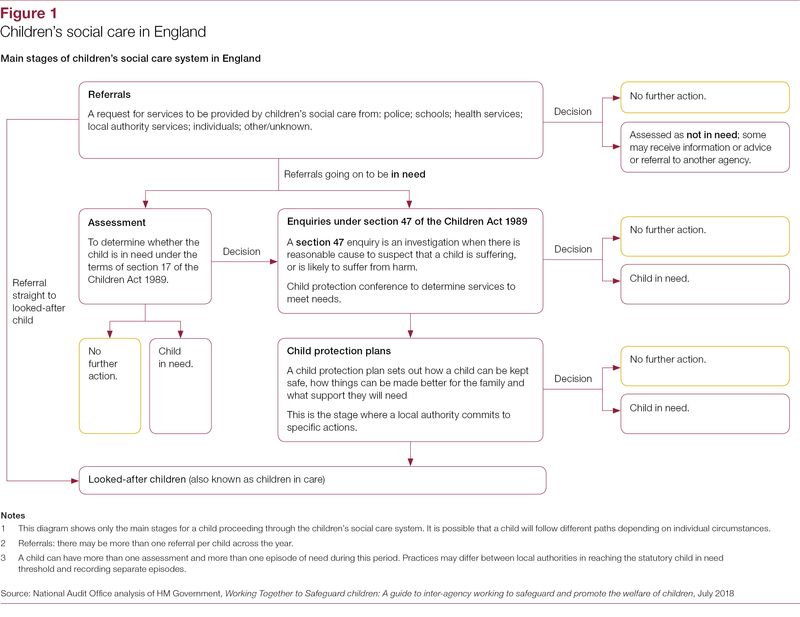 Unless adequate and effective children’s social care is in place, children in need of help or protection will be exposed to neglect, abuse or harm. 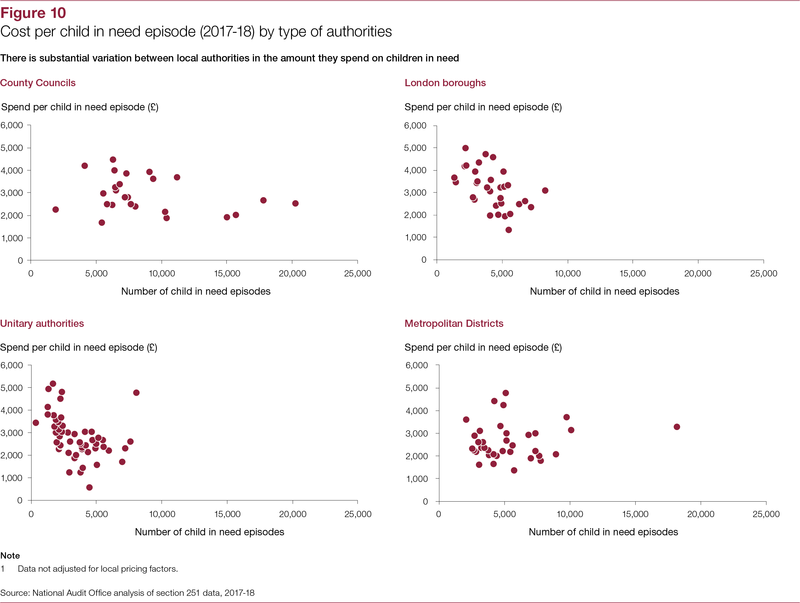 our analysis of what is causing variations in demand for children’s social care between local authorities (Part Three). 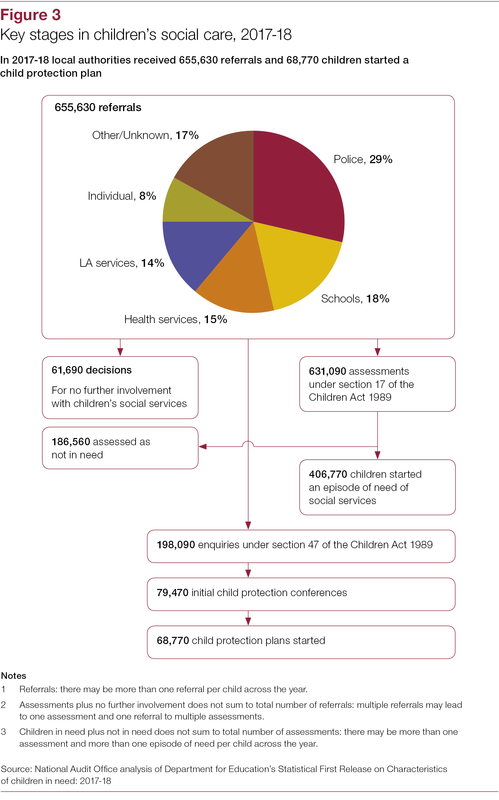 Over two years ago we judged that the Department had made poor progress in improving children’s social care services. 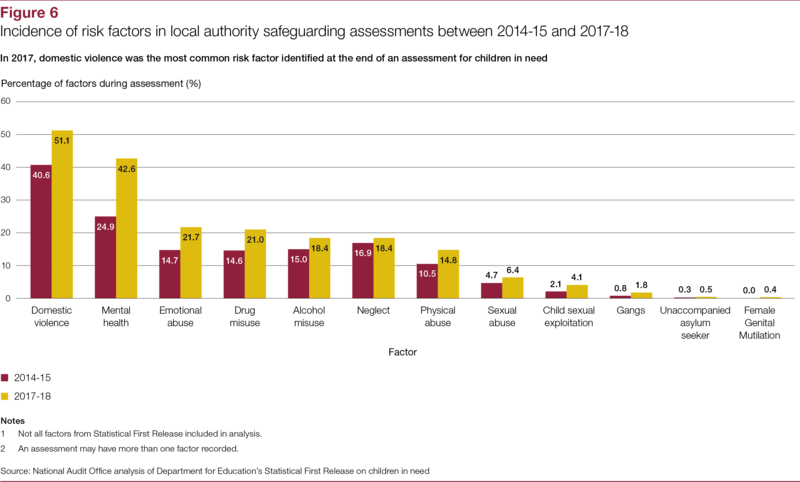 The Department’s goal is now that all vulnerable children, no matter where they live, should have access to high-quality support by 2022. 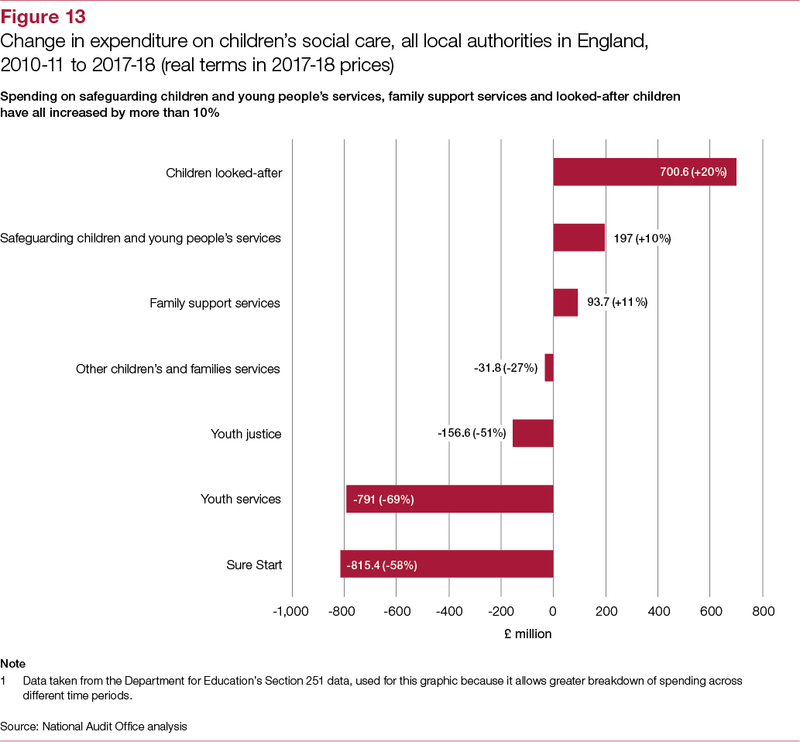 While the Department has put in place a programme of reform, it still does not fully understand what is driving demand for children’s social care or why there is such wide variation between local authorities in their children’s social care activity and costs. It has not yet done the work to tie together available sources of information and therefore lacks a well-informed pathway to achieve its goal. 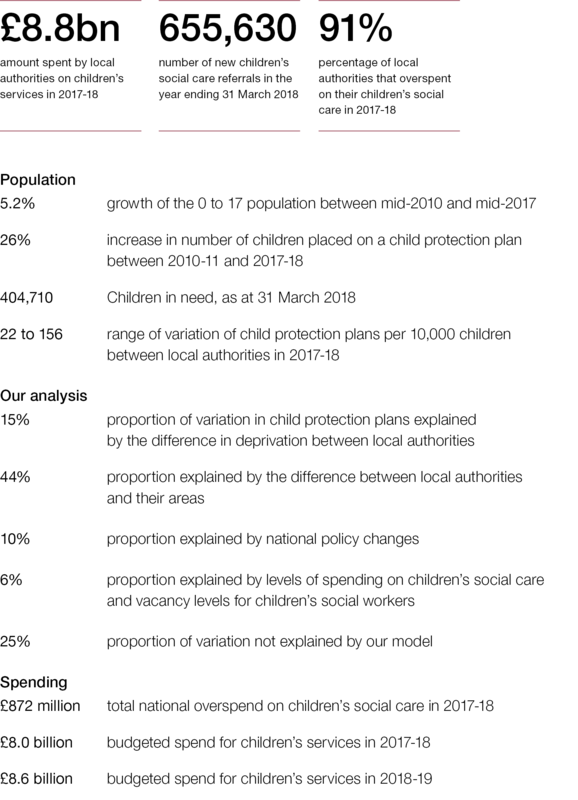 While the Department has recognised the need for this analysis, it will not complete the work until summer 2019. 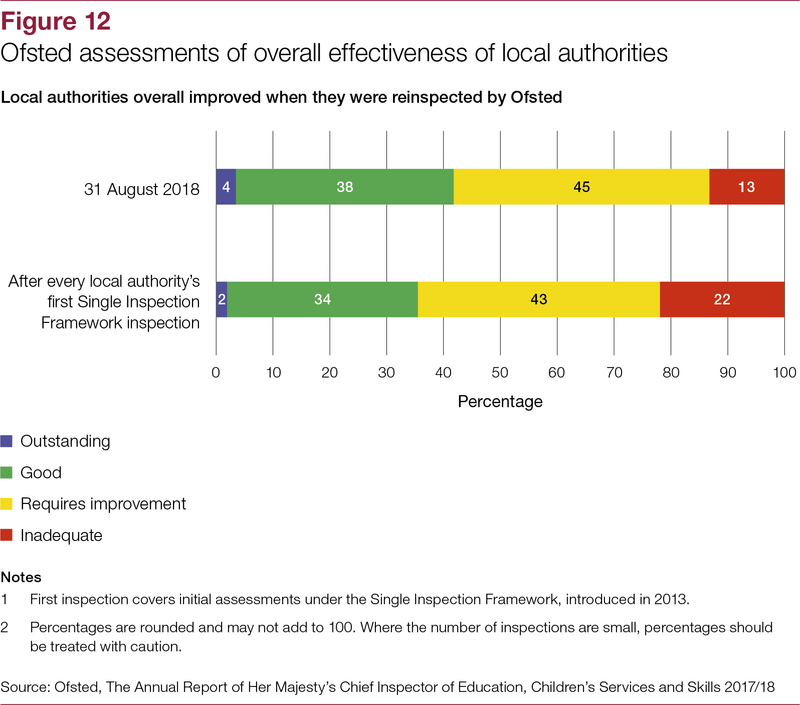 Even if its analysis is completed successfully it will be a tall order for the Department to achieve its goal within three years.